TAMPA, Fla. – From a pair of penalty shootouts, to the advancement of four lower seeds and a record total attendance, the opening weekend of the 2018 USL Cup Playoffs produced an action-packed slate of eight games on Friday and Saturday night to kick off this year’s road to the 2018 USL Cup. The excitement of the postseason brought 59,492 out to the USL’s venues – including club-record attendances for Phoenix Rising FC and Pittsburgh Riverhounds SC – as the league averaged almost 7,500 fans per game, the most for the opening weekend in the USL Cup Playoffs in the league’s history. FC Cincinnati – which entered as the No. 1-seed in the Eastern Conference – narrowly avoided being one of the sides to suffer an upset as it defeated No. 8-seed Nashville SC 6-5 in a penalty shootout at Nippert Stadium, while defending champion and No. 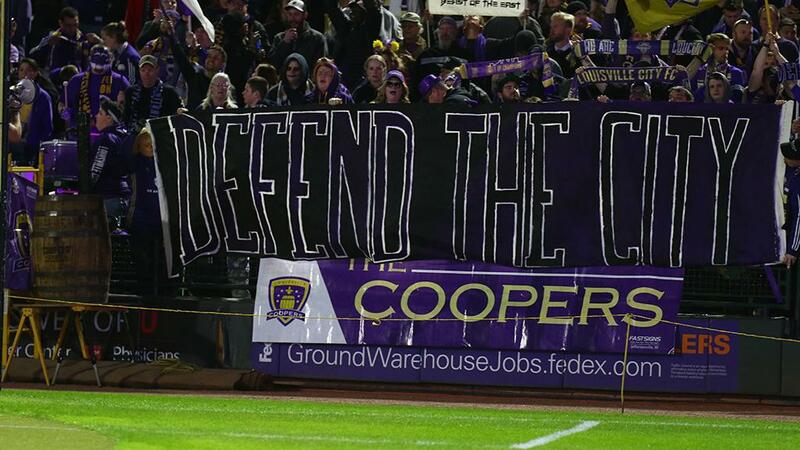 2-seed Louisville City FC had far less trouble as it swept past Indy Eleven. But the other two contests in the Eastern bracket produced surprises as both the No. 5-seed New York Red Bulls II and No. 6-seed Bethlehem Steel FC claimed road victories with Steel FC defeating No. 3-seed and in-state rival Pittsburgh Riverhounds SC in a shootout after a compelling clash before 5,189 fans at Highmark Stadium. The highest seed to fall came in the West, where No. 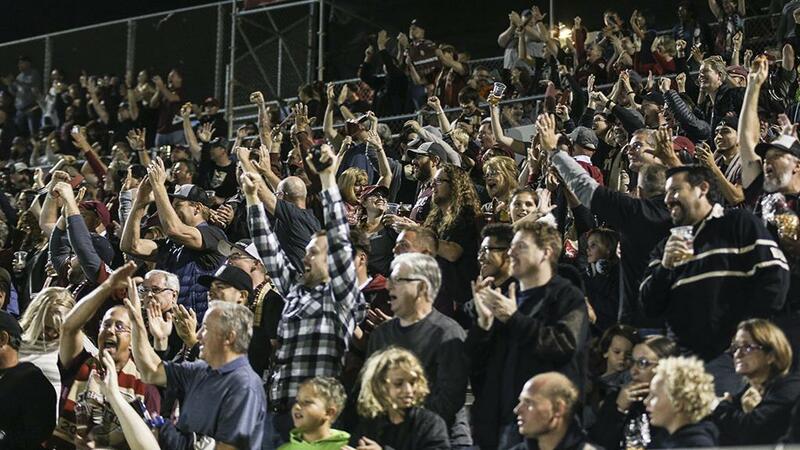 2-seed Sacramento Republic FC fell 2-1 to the two-time defending conference champions and No. 7-seed Swope Park Rangers before a sellout crowd of 11,569 at Papa Murphy’s Park. The Rangers will now visit No. 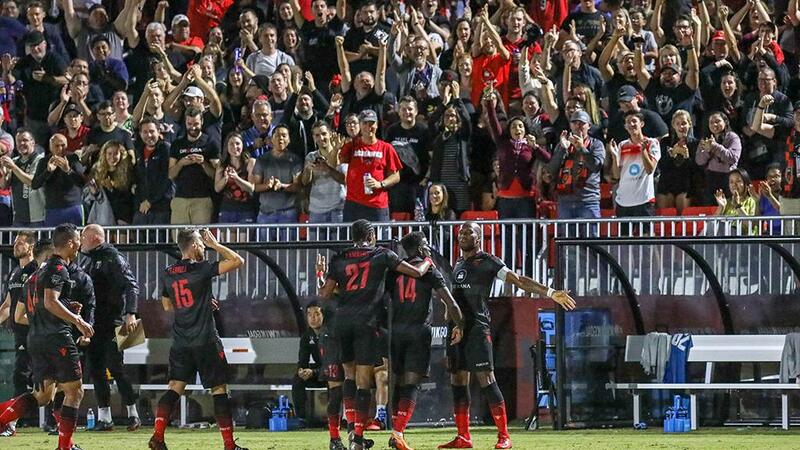 3-seed Phoenix Rising FC after Didier Drogba helped power his side to victory with his second career USL Cup Playoffs goal. On the other side of the bracket, No. 1-seed Orange County had little difficulty in claiming its first playoff win in club history as it became the first Western Conference top seed to take victory in its postseason opener since the league moved to a two-conference structure in 2015, while No. 5-seed Reno 1868 FC got a stoppage-time winner to earn its first postseason win by defeating No. 4-seed Real Monarchs SLC. 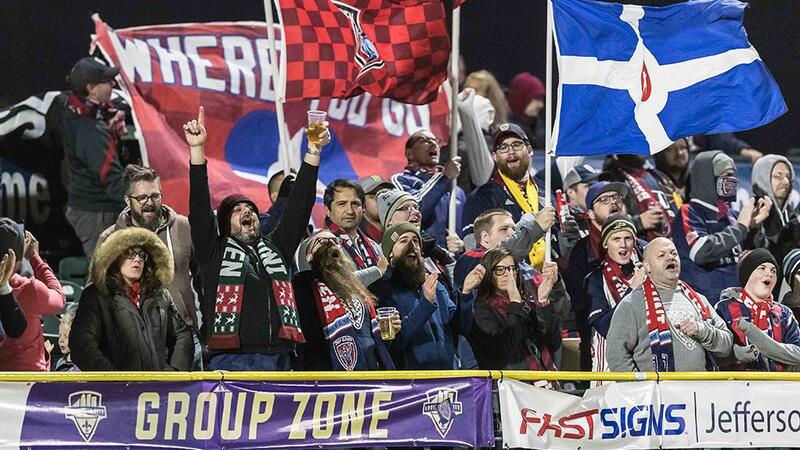 Almost 60,000 fans attended the opening weekend of the 2018 USL Cup Playoffs, averaging almost 7,500 fans across the eight postseason games on the highest-attended weekend in USL Cup Playoffs history. 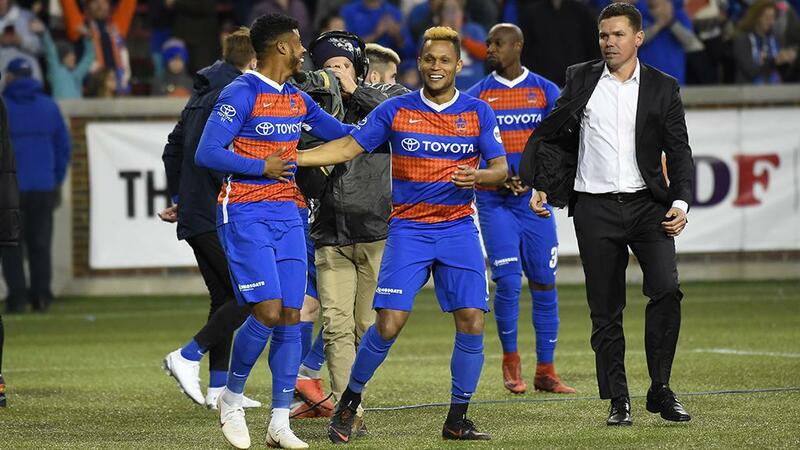 Before a raucous, weekend-high crowd of 20,211 fans, FC Cincinnati narrowly avoided elimination in the Eastern Conference Quarterfinals to claim victory in the sixth round of a penalty shootout at Nippert Stadium. 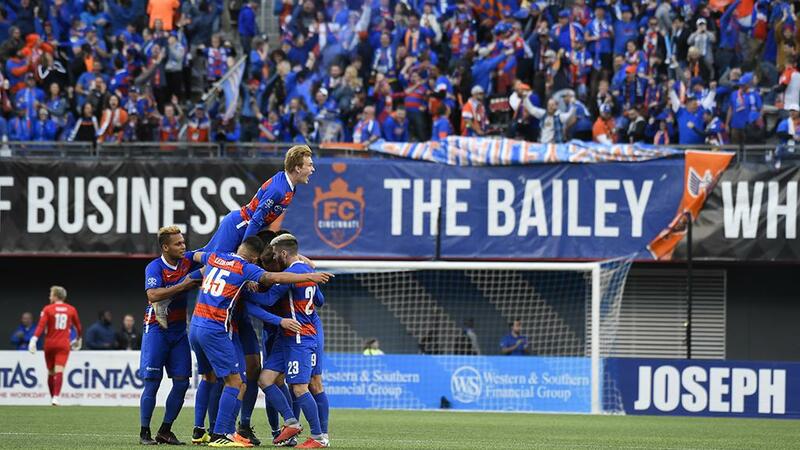 After a scoreless 90 minutes, FCC took the lead five minutes into extra time through Corben Bone, only for Nashville to hit back through Bradley Bourgeois with five minutes remaining in the second 15-minute period. After the sides converted their first five shots of the penalty shootout, however, NSC’s Justin Davis shot over to open the sixth round which allowed Kenney Walker’s low finish to the right corner to send the hosts through. Louisville City FC cruised to victory against Indy Eleven as Niall McCabe and Oscar Jimenez combined on two of the goals for the defending champions before a crowd of 6,763 at Slugger Field. McCabe gave Louisville the lead off Jimenez’s feed from a smartly-worked corner kick just before the half-hour mark, and Ilija Ilic doubled the advantage three minutes before halftime before McCabe struck again three minutes into the second half from another set piece. Indy pulled a goal back through Soony Saad, but Cameron Lancaster’s spectacular goal from a free kick soon after for the hosts ensured safe passage to the next round. 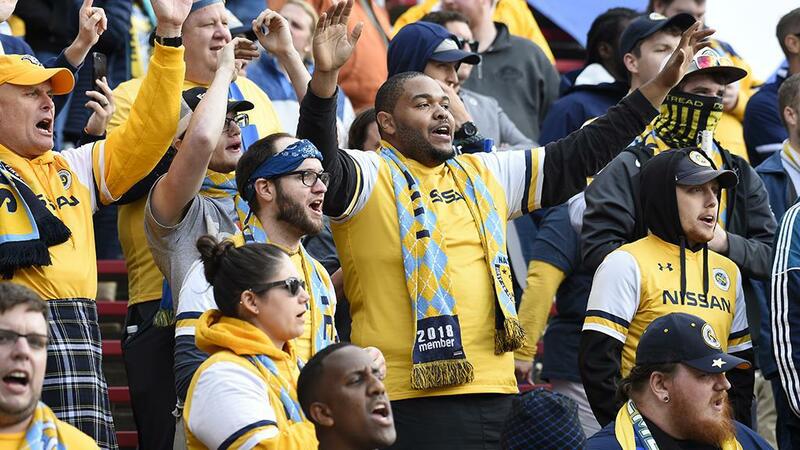 Bethlehem Steel FC’s squad held its nerve from the penalty spot after rallying in both regulation and extra time to claim its first postseason victory before a Riverhounds SC-record crowd of 5,189 at Highmark Stadium. Ben Zemanski put the Hounds ahead midway through the first half, only for Michee Ngalina to level with 20 minutes to go. The same happened in extra time as Hugh Roberts put Pittsburgh in front in the 105th minute, but James Chambers answered again for Steel FC four minutes into the second period of extra time with a powerful free kick from 19 yards. The teams they took turns in converting from the penalty spot until the eighth round when Bethlehem’s Olivier Mbaizo put Steel FC back on top, and when Riverhounds SC’s Ray Lee shot wide it wrapped up victory for Bethlehem and its travelling followers. 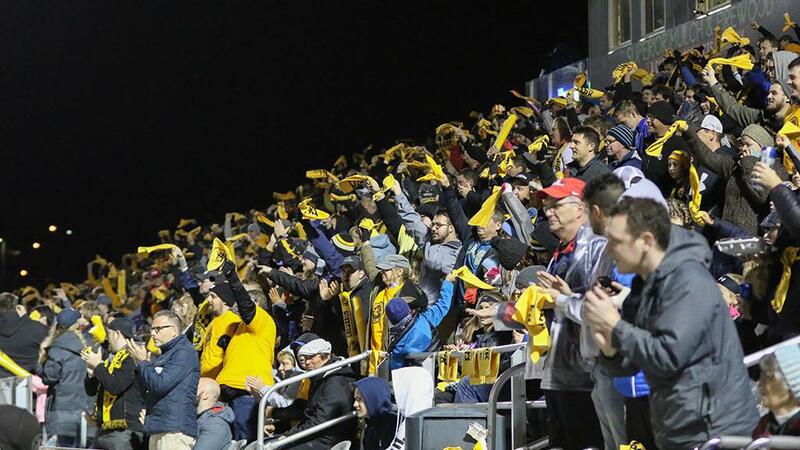 The 2016 USL Cup champion New York Red Bulls II pulled a postseason upset against the 2012 USL Cup champion Charleston Battery for the second time in as many seasons when Tom Barlow was the lone goalscorer at MUSC Health Stadium. Barlow produced an excellent curled finish midway through the first half to give the Red Bulls II the lead they needed, and the visitors then defended well to close out the victory and a fourth consecutive season with at least one postseason victory. 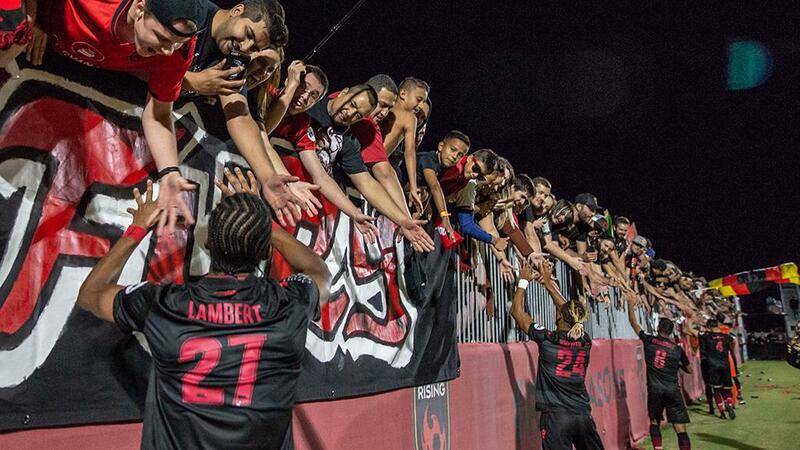 Didier Drogba scored on a fiercely-struck free kick from 35 yards for the second USL Cup Playoffs goal of his career to lead Phoenix Rising FC to a 3-0 victory against the Portland Timbers 2 before a club-record crowd of 7,511 at the Phoenix Rising Soccer Complex. Drogba opened the scoring in the 28th minute as he picked out the top-left corner with his spectacular finish, and the hosts pulled away in the second half through goals by Jason Johnson and Solomon Asante for their first postseason victory in club history. Michael Seaton scored the fourth hat trick in USL Cup Playoffs history to lead Orange County SC past Saint Louis FC at Champions Soccer Stadium as the hosts claimed their first postseason victory in club history. Seaton opened the scoring in the 11th minute before STLFC was reduced to 10 men in the 22nd minute when Tony Walls was sent off. Seven minutes later Seaton notched his second, and the hosts then sealed victory with two goals in three minutes just past the hour-mark as Seaton’s third was followed by a fourth by Mats Bjurman. The defending Western Conference champion Swope Park Rangers rallied from an early deficit to defeat hosts and 2014 USL Cup champion Sacramento Republic FC before a sellout crowd of 11,569 at Papa Murphy’s Park. Sacramento took the lead in the 16th minute when Villyan Bijev took advantage of a poor clearance by the Rangers, but Swope Park tilted the game in its favor with two goals in four minutes around the half-hour mark by Wan Kuzain and Hadji Barry. A staunch defensive display in the second half allowed Barry’s 18th goal of the season to stand as the winner as the Rangers took their first road postseason victory in club history. Brian Brown scored in the second minute of stoppage time to lift Reno 1868 FC to its first victory in postseason history as it knocked out Real Monarchs SLC at Zions Bank Stadium. The Monarchs had the better of much of the game but were denied the opening goal by Reno goalkeeper Matt Bersano, who had a six-save shutout, and that allowed Brown’s headed finish to the right corner of the net in stoppage time for his 17th goal of the season to send 1868 FC through.